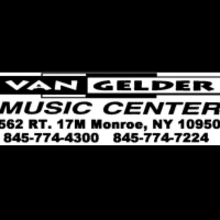 Van Gelder Music Center offers many products and services. We rent, repair, and sell musical instruments & accessories. We carry only quality instruments and we offer great prices. Whether you are a beginner or a experienced musician you will find our selection of instruments and accessories suitable for your musical needs. We also teach music lessons on a wide range of instruments. We offer top quality music lessons Monday-Thursday & Saturday. Visit our store website for further information about our music store!